2018 Lucas Oil NCHA Super Stakes – April 1, 2018 – Fort Worth, Tex. 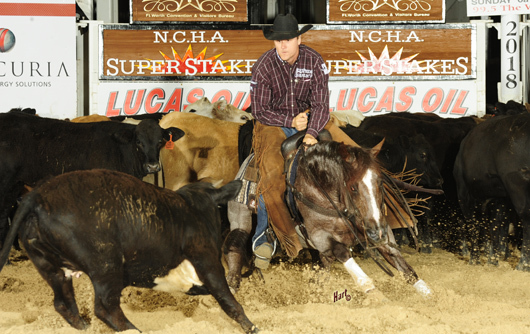 Stevie Rey Von and Beau Galyean rewrote the NCHA Record Book with a 231-point win in the NCHA Super Stakes Classic Open Finals. The score was the highest ever marked in the Super Stakes Classic and tied for the Triple Crown all-time record, set in the 2001 Super Stakes by Sunettes Dually and Matt Gaines. Galyean held the old Super Stakes Classic record with 229 points aboard Metallic Rebel in 2017. Six-year-old Stevie Rey Von, NCHA Horse of the Year and winner of the 2015 NCHA Futurity, also scored 231 points last month to win the Cattlemen’s 5/6 Classic Open under Galyean for new owners Alvin and Becky Fults, Amarillo, Tex. 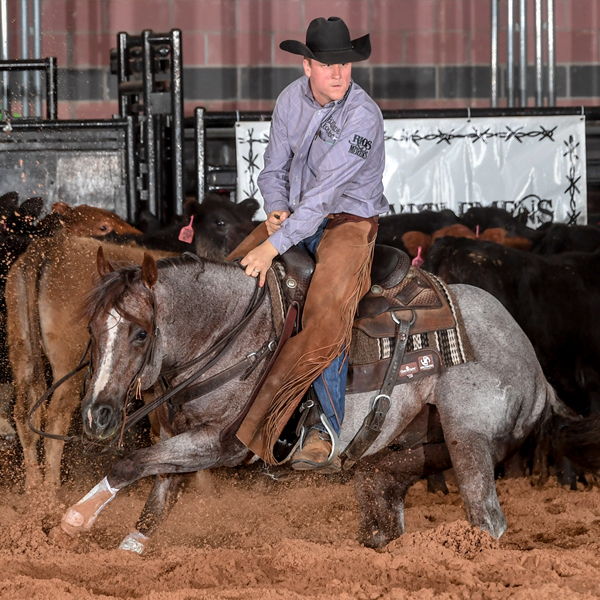 The Fults’s, who purchased Stevie Rey Von in February, had owned his sire Metallic Cat, the 2008 NCHA Futurity champion and NCHA Horse of the Year shown by Galyean, as well. Stevie Rey Von brought career earnings of more than $370,000 into the Super Stakes Classic finals. Until Stevie Rey Von eclipsed the field, as draw 28 from 29, Kattalyst, bred by Alvin and Becky Fults, was the horse to beat and became the eventual reserve champion. Shown by Adan Banuelos, the 6-year-old Metallic Cat daughter scored 226 points late in the first set of cattle. Her closest challenger was Somethingtobelievein with 223.5 points, under owner Brett McGlothlin, for third place. Kattalyst LTE $94,134, owned by Ten/27 Ranch, Denham Springs, La., made her debut as a 2015 NCHA Futurity Open Semi-Finalist with Sean Flynn and has been a consistent finalist in limited age events, including non-pro competition with Ten/27 Ranch owners Todd and Elizabeth Quirk.